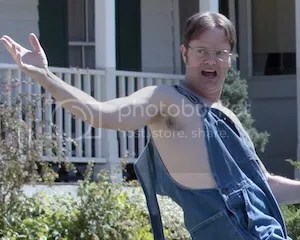 TVLine is reporting that even though The Office spinoff The Farm, a series that was supposed to be centered on the Schrute Family Beet Farm (Gee… can’t imagine why NBC didn’t pick that up to series) will air as an episode of this, the final season of The Office. That is all. More details here. This entry was posted in TV NEWS and tagged comedy, NBC, spinoff, television, television series, the farm, the office. Bookmark the permalink.